About to get married? Congratulations! It goes without saying a unique wedding ring should form part of this unique occasion. There’s no better symbol for eternal love for each other than gold wedding rings with a diamond. You are guaranteed to find what you’re looking for on this page, both for him and for her. Also looking for a set of jewellery for the big day itself? 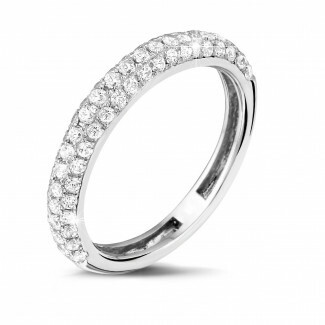 Then take a look at our extensive collection of exclusive jewellery. Which gold wedding ring are you looking for? 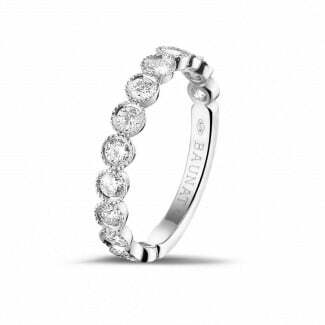 BAUNAT can offer you an extensive choice of gold wedding rings with a diamond. 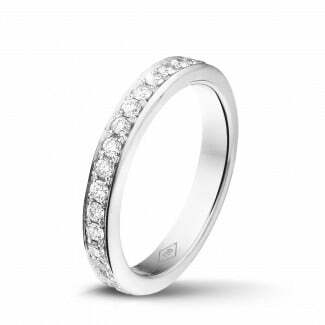 For example, you can opt for a gold wedding ring set with small round diamonds. 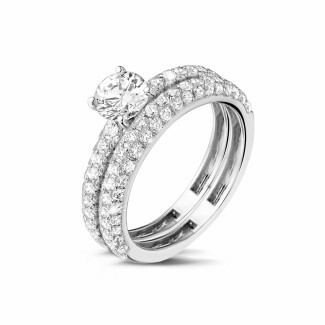 But another option would be an alliance ring set with diamonds all around. 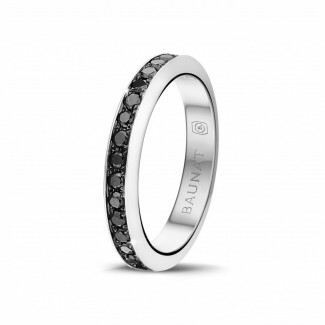 And what would you say to a wedding ring in white gold with black diamonds? Incredibly unique, different and stylish. 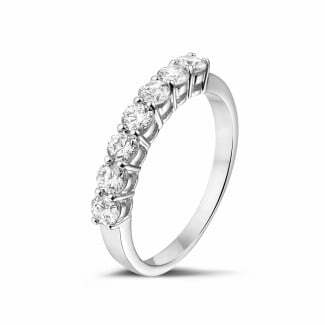 The choice of gold wedding rings with a diamond is just as never-ending as your love for each other. Can’t find what you’re looking for? Then go for a tailor-made approach. How can you personalise a gold wedding ring? The best known method for personalising your gold wedding ring is the engraving. You can add your initials, your wedding date, or even a short personal message to your gold wedding ring. This can be done either traditionally by hand, or with the use of modern laser techniques. Manual engraving is more time-consuming, but this is the most sustainable option. Where can you see your wedding rings? Do you want to be able to physically look at your gold wedding ring, as well as online? BAUNAT can provide you with the opportunity to make an appointment to come and see us in one of our showrooms. This will allow you to combine the advantages of buying your gold wedding ring online, with the advantages of buying your jewellery in a physical shop.